The physical effects of dyes, pigments, and exposure to the elements have long fascinated us, especially with metals. It comes as no surprise then that patinas are always a popular topic at Interweave. Over the years, we have racked up an impressive collection of posts on this subject, from the blackest of black patinas to a range of beautiful greens and everything in between. 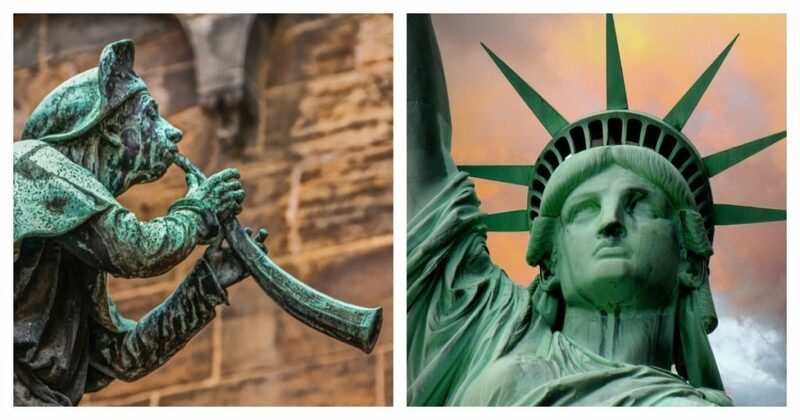 ABOVE: Copper, brass, and bronze acquire a beautiful verdigris patina over time, giving it a distinct feel. Lexi Erickson shares a recipe for creating a blue-green patina on copper, like the one that formed over time on these horse tack rings. What Exactly is a Patina? The word patina can be understood in a variety of contexts. In one sense, a patina is a story — the history of an object “written” onto its surface, an accumulation of everything that has happened to it in its journey through time. For metal, this narrative includes corrosion (or more positively, oxidation) and other chemical processes, both natural and applied. Both aged wood and leather develop a patina over time as well. Metal can’t claim a monopoly on this term, however; it also applies to the aging of certain stones, wood, leather, and even varnish on paintings. (And metaphorically, it can refer to a person’s appearance or impression.) For the most part, the term has a positive connotation, regardless of the medium. Rather than detracting, an object’s patina gives it a rich sense of character. In an earlier water casting experiment with bronze, I was captivated by all the hues that appeared: tan, orange, dull red, grey, and crusty black. As far back as 1000 BC, people already had the knowledge to extract metal from ore, make bronze and other alloys, and create pottery, beer and wine, medicine, perfume, soap, and glass. These key discoveries laid the foundation for the field of chemistry. In the Middle Ages, the obsessive quest to turn ordinary metals into gold greatly contributed to chemistry. Far from being a failure, alchemy drove intensive experimentation with metals. These experiments led to the discovery of a glorious number of pigments, dyes, and alloys. For example, a new red dye was discovered when carminic acid was extracted from female cochineal insects, and the color vermillion was born when sulfur was mixed with mercury. Mathew Runfola shares a dizzying array of surface treatments in his book Patina. 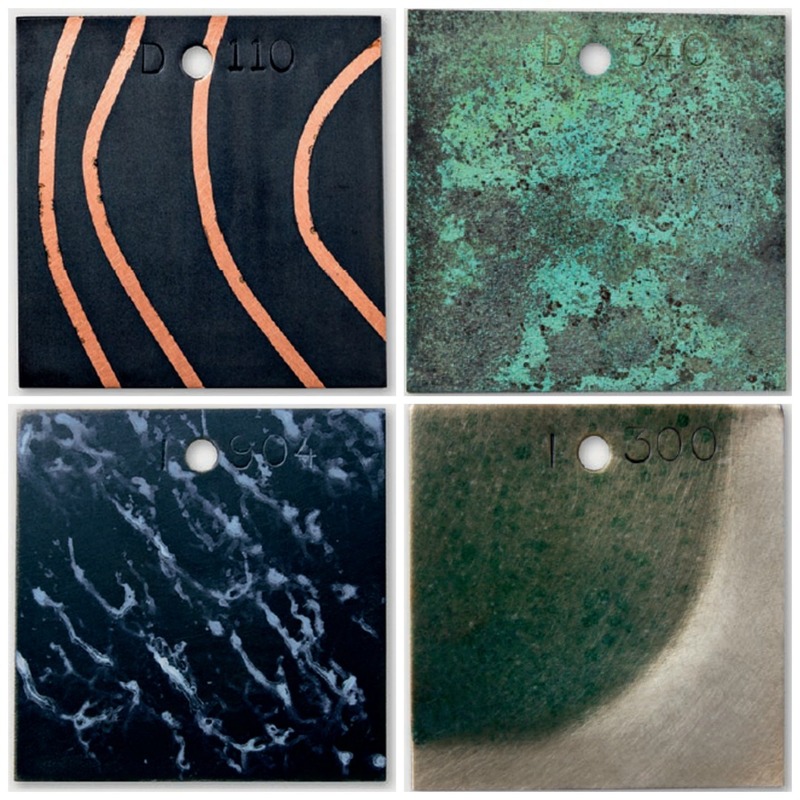 Clockwise from top left: Black patina on masked copper, blue-green and black speckle on copper, translucent green-blue speckle on sterling silver, black patina on sterling silver. In today’s world, we have so many options to create the colors, discolorations, and textures we love. In his book Patinas: 300+ Coloration Effects for Jewelers and Metalsmiths, Matthew Runfola takes us on a visual tour of how a variety of metals react to surface effects, from traditional patinas to metal coatings to anodizing. To watch the magic of a patina come to life, watch this sneak peak of Darlene Armstrong adding silver black to metal clay. 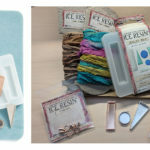 Learn more in her series of workshops on Precious Metal Clay. Explore What You Can Do with Patinas!